Ballet San Jose is a classically-based ballet company that has delivered international quality, theatrically produced ballet to the Silicon Valley in the San Francisco Bay Area since 1986. The company has a reputation for innovation and education and standards are high. Kenneth Keith at Ballet San Jose is responsible for lighting design and technical direction for the company’s repertoire of over 120 traditional and modern classical ballets, including recent performances of Swan Lake (February 25-27) and Carmen (April 1-3) presented at the San Jose Center for the Performing Arts. 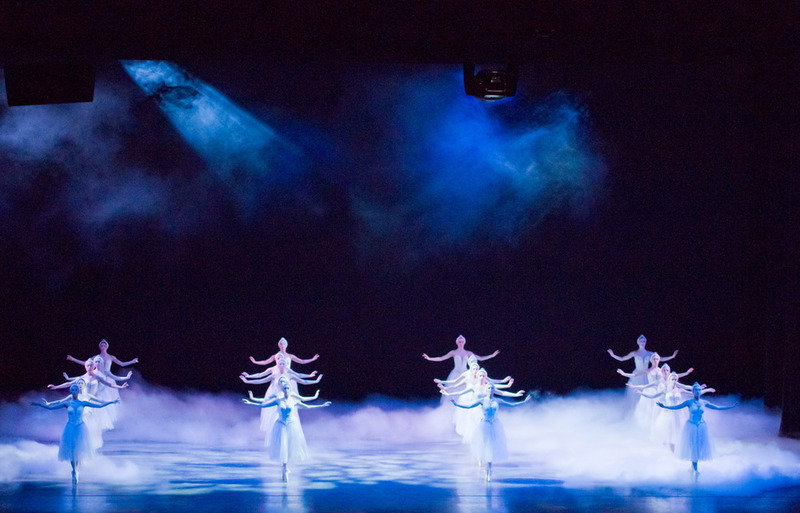 Ballet San Jose recently incorporated into its lighting design a Martin Professional lighting package of color changing and effect luminaires, as well as lighting control products as new design components. Opening night of Swan Lake proved an especially satisfying night for Keith as the Ballet opened to a sold out house with audience members that included movie, rock and sports stars, and perhaps most satisfying, a spontaneous standing ovation. “As a designer here at Ballet San Jose I have developed a devoted and supportive following for my work over the years, however this opening night I was being stopped by patrons I had never met with praise for my design and I feel that my credit is shared by Martin Professional and the incredible performance of these new fixtures!” Keith stated. Included in the new system is Martin's new M1 lighting console. Keith names two major factors that make the console particularly appealing “The company had done an extensive tour of China and the need for carrying a control board became clear,” he says. “The M1 is light and small and can travel easily by plane or bus and is light and compact enough to take back to the hotel room to write changes. Keith has experience with numerous other lighting consoles in past productions but chose the M1’s easy to use platform. The M1 has been designed with a single philosophy in mind – simplicity – and features a clean and easy-to-navigate surface. Its fast dual-core processor ensures a fast and responsive user interface, even if hundreds of playbacks and effects are activated simultaneously. “My programmer Rob Sees loves the new console and with only seven days with the board and the use of the MSD Gold visualization software he was able to have the show ready to go and to great success,” Keith says of the M1 console. The M1 has a full lighting rig under its control including Martin MAC 2000 Wash XB™ and MAC 2000 Performance™ fixtures. Besides product performance other factors were important to Keith, namely Martin’s global reach and worldwide service and support network. “For years I was a fan of another moving light company but with international touring in mind, including Asia, I feel Martin provides the best support worldwide to their product.” The Martin lighting gear used by Ballet San Jose was purchased and is owned by Fry's Electronics, a generous benefactor who provides use of the system at no charge to the Ballet. Photos (Swan Lake) by John Gerbetz. Photograph of single dancer features soloist Jeremy Kovitch. Swan Lake choreography by Dennis Nahat; scenic design by David Guthrie.